Animals produce 44 times more manure than humans in the U.S. Preface. At John Jeavons Biointensive workshop back in 2003, I learned that phosphorous is limited and mostly being lost to oceans and other waterways after exiting sewage treatment plants. He said it can be dangerous to use human manure without proper handling, and wasn’t going to cover this at the workshop, but to keep it in mind for the future. Modern fertilizers made with the Nobel-prizing winning method of using natural gas as feedstock and energy source can increase crop production up to 5 times, but at a tremendous cost of poor soil health and pollution (see Peak soil). Fossil fuels will inevitably decline some day, and force us back to organic agriculture and using crop wastes, animal and human manure again. Below are excerpts from three sources. The first is about North Korea. Despite tremendous efforts to use all manure, this country is a barren, destroyed landscape that can grow little food, which McKenna describes here: Inside North Korea’s Environmental Collapse. The second section describes what it was like to live over a century ago when human and animal manure was routinely collected. The third Below is a NewScientist book review of The Wastewater Gardener: Preserving the planet, one flush at a time by Mark Nelson. Park, Y. 2015. In order to live: A North Korean girl’s journey to freedom. Penguin. “One of the big problems in North Korea was a fertilizer shortage. When the economy collapsed in the 1990s, the Soviet Union stopped sending fertilizer to us and our own factories stopped producing it. Whatever was donated from other countries couldn’t get to the farms because the transportation system had also broken down. this led to crop failures that made the famine even worse. The caldera (collapsed crater) of Mt Tambora. Image: By Jialiang Gao (peace-on-earth.org), via Wikimedia Commons. The day in 1815 when the world’s climate went berserk was only the start of months and years of global climate disruption and social unrest. LONDON, 19 March, 2019 − If you had been in what were then called the Dutch East Indies on 10 April 1815, the day would have been etched indelibly on your memory: it was the day the global climate went berserk. Many parts of the world are already feeling the effects of a changing climate. Island nations in the Pacific are seeing their lands eaten away by rising sea levels. Whole communities of people in Arctic regions are threatened by rapidly expanding ice melt. The foundations of houses are being swept away. Traditional hunting grounds are being lost. Wolfgang Behringer is a climate historian who seeks to draw parallels between what is going on now and events long ago. In particular Behringer, a professor of early modern history at Saarland University in Germany, looks at how changes in climate can influence and shape events – political, economic and social. In a new book he focuses on the 1815 volcanic explosion of Tambora, on the island of Sumbawa in present-day Indonesia. The eruption still rates as the largest in human history; the cloud that burst from the volcano reached a height of 45 kilometres. Many thousands of people were killed on Sumbawa and adjoining islands, including Lombok and Bali. Dust clouds from Tambora were swept around the globe; the world’s climate went berserk, says Behringer. If you read the entire review of the “study” and the study itself, you can feel the GMO community grasping for anything to save face, especially in the midst of a tsunami of Bayer/Monsanto lawsuits (of which people are winning huge payouts) regarding glyphosate poisoning from using Roundup. Folks, this is the same weed killer used on the inside and out (think genetic engineering here and “Roundup Ready”) of 90 percent of U.S. corn, soy, canola, cottonseed, beets, alfalfa, and the list goes on. The whole insidious anti-organic industry needs a big PR win and fast, so they’re jumping on the “climate change” bandwagon and spewing infested lies about organic farming. It’s time to deconstruct the biggest ones and expose the fraudulent “news” updates. Big lie. 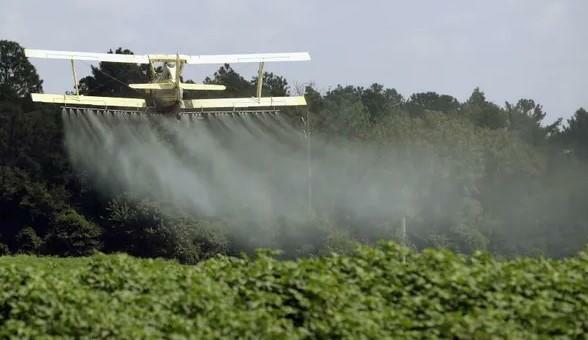 First off, non-organic food usually means chemical-based fertilizers, herbicides, and insecticides are doused on the farms by crop dusters and spread by tractor “boom” sprayers that spray millions of gallons of unsustainable, climate-destroying bug killer and weed killer over millions of acres. And that comes only after the scientists modify the crop seeds in a laboratory with the same chemical genes from the poisonous pesticides. Why did local go global? When discussing the food system, I find that few seem to understand why the system is like it is. Some discuss the system in a way where it sounds like Big, Bad and Ugly corporations made the system into what it is today, and all we have to do is to decide that we want a local food system instead. But that view is underestimating the drivers of the economy. My own experiences in food processing and farming has made me understand that the workings of competition (“the market”) is the main factor influencing how and where production takes place. Some thirtyfive years ago, the farm where I lived, Torfolk, wanted to pursue the value addition of local resources and we started making jam out of local berries. First we picked lingonberries – a North European berry similar to cranberries – ourselves in the forest. But quite soon we reverted to buying from pickers. But the buckets were full of bad berries, leaves, twigs and droppings from roe deer so we had to spend a lot of time cleaning them. We converted an old grain cleaning machine, but when the berries were really ripe and soft, they were mashed inside the machine, and it was impossible to get them clean. In addition, one of us got an involuntary exotic haircut, when leaning too close to the fan of the cleaner. Next solution was to buy from a local berry trader who had a purposely built lingonberry cleaner. But also with this one we had quality problems and ended up having to pick many leaves by ourselves. In addition, as most berry pickers know, the berries don’t grow equally well every year, there is frost in the florescence, it is too dry, too rainy or there is a pest, so we could not rely on the local berries alone. And neither could the local berry cleaning operation, so it closed down. Roughly 70% of all produce sold in the U.S. has pesticide residue in it, even after it is washed, according to a new report from the Guardian. 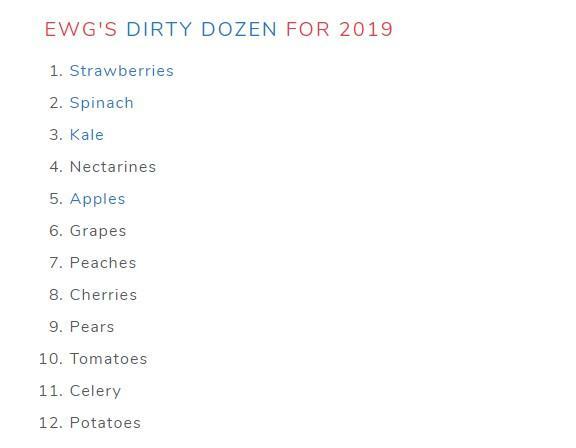 According to data from the US Department of Agriculture and analyzed by the Environmental Working Group, strawberries, spinach and kale have the heaviest pesticide presence, while sweetcorn, avocados and pineapples had the lowest presence. In news likely to send anxiety attacks across vegan circles, more than 92% of kale that was tested had two or more pesticide residues in it. A sample of any conventionally farmed kale could contain “up to 18 different pesticides”, according to the report. Dacthal was the most common pesticide found. It was detected in about 60% of kale samples and is banned in Europe and classified as a possible carcinogen in the U.S.
Other foods that the group warns about include grapes, cherries, apples, tomatoes and potatoes. Foods like avocados, onions and cauliflower were found to be “clean”. Is a key ingredient humans need to live about to run short? Phosphorus is essential for all living organisms. So, it’s not surprising that humans get their phosphorus from other living organisms, mostly plants, that have absorbed phosphorus from the soil. The introduction of phosphate fertilizers made it possible to ensure that enough phosphorus for healthy plant growth is available in practically any farmland soils. At first, farmers had access to phosphate fertilizers from bone ash and later from phosphate deposits accumulated from bird and bat guano on certain tropical islands (some of which deposits were 30 feet deep before they were mined and completely exhausted). More recently, phosphates have come from mining rocks rich in phosphorus. All seemed well for the long term as supplies of the rock phosphates were thought to be hundreds of years at current rates of consumption. But a group of researchers upended the consensus in 2009 forecasting that phosphate production could peak as early as 2030. A peak wouldn’t be the end of phosphate production. But it would mark the beginning of an ongoing decline in phosphorus available from mines. This would come as a shock to a world food system accustomed to consistently rising phosphorus supplies needed to feed a growing population. There are ways to recycle the phosphorus we eat, primarily through the sewage sludge from municipal sewage systems. But one of the easiest and most beneficial ways is building soil using compost. Crop residue, animal manure and human food wastes are important sources for such compost. It’s an old idea that is finding it’s way back into our modern agriculture. In fact, one of the most important factors in the availability of phosphorus in any soil is the healthy presence of vast colonies of microorganisms that free phosphorus from its inorganic chemical prisons and make it available to organic life. Compost is an excellent way to build such a microbiotic community. Oil, Agriculture and Imperialism: Averting the Fast-Track to Armageddon? The US’s hand-picked supposed leader-in-waiting, Juan Guaido, aims to facilitate the process and usher in a programme of ‘mass privatisation’ and ‘hyper-capitalism’ at the behest of his coup-instigating masters in Washington, thereby destroying the socialist revolution spearheaded by the late Hugo Chavez and returning to a capitalist oligarch-controlled economic system. One might wonder who is Bolton, or anyone in the US, to dictate and engineer what the future of another sovereign state should be. But this is what the US has been doing across the globe for decades. Its bloody imperialism, destabilisations, coups, assassinations, invasions and military interventions have been extensively documented by William Blum. Of course, although oil is key to the current analysis of events in Venezuela, there is also the geopolitical subtext of debt, loans and Russian investment and leverage within the country. At the same time, it must be understood that US-led capitalism is experiencing a crisis of over-production: when this occurs capital needs to expand into or create new markets and this entails making countries like Venezuela bow to US hegemony and open up its economy. For US capitalism, however, oil is certainly king. Its prosperity is maintained by oil with the dollar serving as the world reserve currency. Demand for the greenback is guaranteed as most international trade (especially and significantly oil) is carried out using the dollar. And those who move off it are usually targeted by the US (Venezuela being a case in point). These headlines, likely sourced from a recent article from “The Lancet” (4) are a regular feature of our time, in diet, in environmentalism, and in global warming. They are well-researched, sourced by the world’s experts, and put forward with the highest intentions. However, they are also completely wrong – dangerously, ignorantly wrong. Like most industries, agriculture and food production is a specialty, with its own language and details. I don’t attempt to tell the Lancet how to perform heart surgery, for to do so would be ridiculous, dangerous, outside of my expertise. I wouldn’t tell a geologist how to interpret the magnetic layers of rock, or how oceanographers should properly interpret sea water samples to guide us on fishing or pollution. Yet this is what they do for farmers. The primary drive of most such articles is that, with so many people, and so much hunger, we find that it takes “2,500 gallons of water, 12 pounds of grain, 35 pounds of topsoil and the energy equivalent of one gallon of gasoline to produce one pound of feedlot beef.” that “64% of US cropland produces livestock feed.” (5) That it takes “20 pounds corn [to make] 1 pound beef.” (6) Or that you can get 15lbs of beef per acre, but 263lbs of soybeans. (7) Also that cattle are the primary reason for deforestation, and a major cause of methane. New analysis reveals that we have much less water in our aquifers than we previously thought — and the oil and gas industry could put that at even greater risk. We’re living beyond our means when it comes to groundwater. That’s probably not news to everyone, but new research suggests that, deep underground in a number of key aquifers in some parts of the United States, we may have much less water than previously thought. “We found that the average depth of water resources across the country was about half of what people had previously estimated,” says Jennifer McIntosh, a distinguished scholar and professor of hydrology and atmospheric sciences at the University of Arizona. McIntosh and her colleagues — who published a new study about these aquifers in November in Environmental Research Letters — took a different approach to assessing groundwater than other research, which has used satellites to measure changes in groundwater storage. For example, a 2015 study looked at 37 major aquifers across the world and found some were being depleted faster than they were being replenished, including in California’s agriculturally intensive Central Valley. McIntosh says those previous studies revealed a lot about how we’re depleting water resources from the top down through extraction, such as pumping for agriculture and water supplies, especially in places like California. But McIntosh and three other researchers wanted to look at groundwater from a different perspective: They examined how we’re using water resources from the bottom up. The study may help close the gap about what we know and don’t know regarding how much water is available deep underground, as well as its quality. It also rings some alarm bells. In the 1980s, I met a retired general at a Borders bookstore in northern Virginia. He used to buy tons of military history books. I used to buy environmental and classics books. We started talking about books. But, slowly, in our discussion of Latin America, I criticized American policies, especially the immoral support of landlords against landless peasants. “If I knew you a few years ago, I would take you outside the town and shoot you,” he said to me. I dismissed this vicious threat as a sign the old man was crazy. But the threat, nevertheless, mirrors the invisible war around farming, food, and the environment. I felt the tension of that ceaseless war for decades. In January 28 – February 1, 1992, I was attending an international climate and development conference in Brazil. I was one of the speakers addressing agrarian reform. I argued that it was necessary for governments and international institutions to protect peasant farmers from the violence of large industrialized farmers. Moreover, Brazil and many other countries, including the United States, should give land to peasants and very small family farmers because the farming they practice has had negligible impact on climate change. In contrast, agribusiness and, especially animal farms, are having significant effects on global warming. Taking this position in 1992, apparently, was controversial. Once at the conference in the gorgeous city of Fortaleza, Ceara, Northeast Brazil, I learned I would not be delivering my paper. Instead, I joined a few professors in a small room wasting our time: debating agrarian reform and drawing recommendations destined to oblivion. This is just one example of what happens to unwelcomed ideas. Governments ignore or suppress them. Powerful media refuse to publish them. Advocates of those ideas often abandon them. Sometimes, they risk death. In a recent article published on the India-based News18 site (CNN), prominent US biologist Nina Federoff was reported as saying it is time for India to grant farmers access to genetically modified (GM) crops. 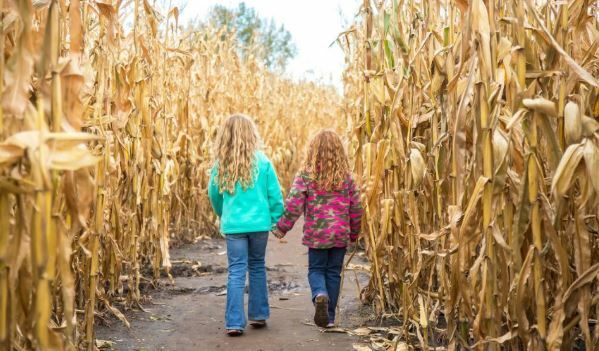 In an interview with the site, she says there is no evidence that GM crops are dangerous when consumed either by people in food or by animals in feed. Federoff says that the commercial release of various GM crops in India has been halted by the Indian government due to opposition from environmental activists. She adds that we are rapidly moving out of the climate regime in which our primary crops were domesticated, arguing that that they do increasingly worse and will yield less as temperature extremes become common and pest and pathogen populations change. She says GM will become more or less essential in an era of climate change. In recent weeks, aside from Federoff’s intervention, GM has been a hot topic in India. In late November, a paper appeared in the journal Current Science which argues that India doesn’t need GM crops and that the track record of GM agriculture is highly questionable. The paper is notable not just because of what it says but because of who is saying it: distinguished scientist P.C. Kesavan and M.S. Swaminathan, renowned agricultural scientist and geneticist and widely regarded as the father of the Green Revolution in India. I recently spoke with prominent campaigner Aruna Rodrigues about developments surrounding the GM issue in India, particularly the views of Federoff. Rodrigues is lead petitioner in a case before India’s Supreme Court that is seeking a moratorium on GM crops and selective bans. CT: What do you make of Nina Federoff’s recent comments advocating for GM in India? Genetically modified (GM) cotton in India is a failure. India should reject GM mustard. And like the Green Revolution, GM agriculture poses risks and is unsustainable. Regulatory bodies are dogged by incompetency and conflicts of interest. GM crops should therefore be banned. You may have heard much of this before. But what is different this time is that the claims come from distinguished scientist P.C. Kesaven and his colleague M.S. Swaminathan, renowned agricultural scientist and geneticist and widely regarded as the father of the Green Revolution in India. Back in 2009, Swaminathan was saying that no scientific evidence had emerged to justify concerns about GM crops, often regarded as stage two of the Green Revolution. In light of mounting evidence, however, he now condemns GM crops as unsustainable and says they should be banned in India. In a new peer-reviewed paper in the journal Current Science, Kesaven and Swaminathan state that Bt insecticidal cotton has been a failure in India and has not provided livelihood security for mainly resource-poor, small and marginal farmers. These findings agree with those of others, many of whom the authors cite, including Dr K.R. Kranthi, former Director of the Central Institute for Cotton Research in Nagpur and Professor Andrew Paul Gutierrez and his colleagues. It is widely agreed that today’s global agriculture system is a social and environmental failure. Business as usual is no longer an option: biodiversity loss and nitrogen pollution are exceeding planetary limits, and catastrophic risks of climate change demand immediate action. Most concede that there is an urgent need to radically transform our food systems. But the proposed innovations for more sustainable food systems are drastically different. Which we choose will have long-lasting effects on human society and the planet. Suggested innovations in food systems can be broadly understood as either seeking to conform with – or to transform – the status quo. Some want to keep the agriculture industry as close to existing practices as possible. This is true of the increasing number of corporate and financial actors who seek to solve the food crisis by developing new technologies. These technologies are envisaged as being part of what is being called the “fourth industrial revolution” (4IR). The “answer” here is thought to lie in a fusion of technologies that blurs the lines between physical, digital and biological domains. For example, the World Economic Forum is currently supporting agricultural transitions in 21 countries through its “New Vision for Agriculture” initiative. This initiative supports “innovation ecosystems” to re-engineer food systems based on “12 transforming technologies”. In this imagined future, next generation biotechnologies will re-engineer plants and animals. Precision farming will optimise use of water and pesticides. Global food systems will rely on smart robots, blockchain and the internet of things to manufacture synthetic foods for personalised nutrition. The western tail of Lake Erie brims with life. Warm, shallow waters along the Ohio-Michigan border teem with bass, bluegill, and walleye, sustaining a billion-dollar fishing industry. Millions of people from Cleveland to Detroit draw their drinking water from this nook of the lake. Yet every summer, nasty blooms of toxic algae put the entire system at risk. Scummy blankets of blue-green algae, or cyanobacteria, have appeared at alarming scales since the early 2000s, killing plants and fish and straining water treatment facilities. Four years ago, algal blooms were so bad that residents of Toledo were told not to drink or use tap water for three days. Scientists say they know the primary source of the blooms: phosphorus and nitrogen that wash off farms in northwest Ohio and flow into the lake. What’s less clear is how policymakers and farmers will act to stem the nutrient pollution. A high-profile effort by the state’s Republican governor, John Kasich, to tackle toxic algae is in limbo after months of contentious meetings, political infighting, and strong resistance from the state’s agricultural interests. The delays mean that his successor, Mike DeWine, another Republican, will be responsible for carrying out or discarding Kasich’s vision. Kasich is pushing to declare eight watersheds in northwest Ohio as “distressed,” a maneuver that would enable regulators to adopt rules for curtailing agricultural runoff across some 7,000 farms. This summer, he issued an executive order that tasks a state commission with approving the “distressed” designations. But that commission recently decided to put off a decision until February — after Kasich leaves office. If upheld, the order would start by requiring farmers to lay out detailed strategies for applying chemical fertilizers and spreading manure. There’s a reason that few people are thinking about world grain supplies. Last year saw record worldwide production of grains and record stocks of grains left over. But this year worldwide production slipped about 2 percent, owing in large part to the plunge in Australia’s production caused by an ongoing severe drought. Production is expected to fall 23 percent. Fortunately, in our globalized grain markets, this hasn’t affected overall supplies or prices very much as grain stocks are high and supplies are mobile and shipped all over the world as needed. But Australia is the world’s fifth largest wheat exporter, accounting for nearly 9 percent of the total in 2016 according to the Food and Agriculture Organization of the United Nations. In fact, the top five wheat exporting countries account for 56 percent of world wheat exports. The rest of the world is highly dependent on these exporters to make up the difference between what they grow and what they eat. But it’s not just wheat. For rice the numbers are even more striking. The top five rice exporting countries supplied nearly 80 percent of total world exports. For corn (called maize in most countries) the number is a bit higher. The top five corn exporting countries supplied almost 81 percent of all exports. Why is this important? First, about 80 percent of all calories consumed come from grains, either through direct consumption (46 percent) or indirectly through livestock in the form of meat, milk, eggs and other animal products (33 percent). Second, as climate change begins to scorch the major grain growing areas of the world, the large exporters may find themselves with much less to export or even begin competing for imports.